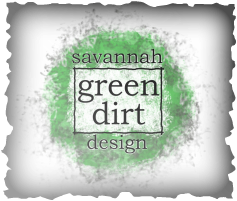 From initial design concept to digging the hole for the plant, Savannah Green Dirt Design is there to help you achieve the landscape you've always wanted. We can help you visualize what your future landscape will look like. Every design is catered towards your budget. Know what your design will look like before taking the plunge into the real world. We offer quick, efficient landscape installations. We can help you preserve your new or existing landscapes. Need branding? Logo designs? We can help!